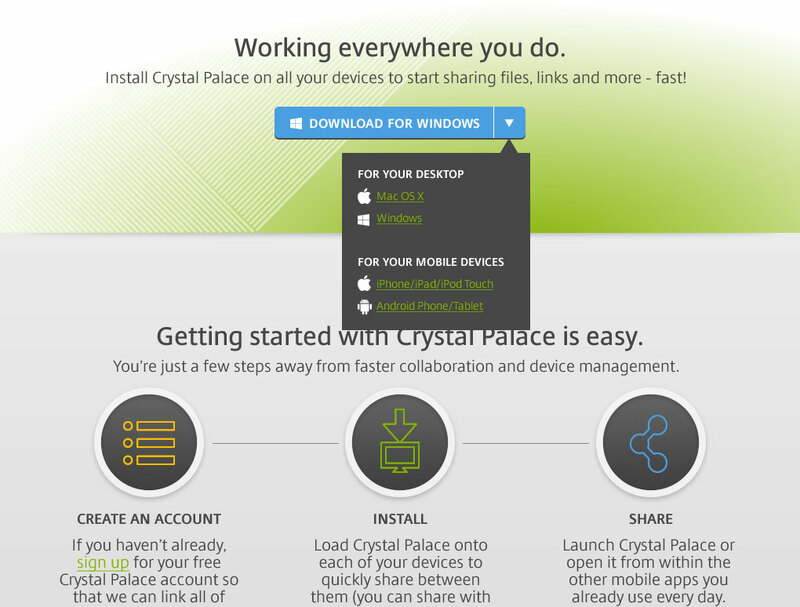 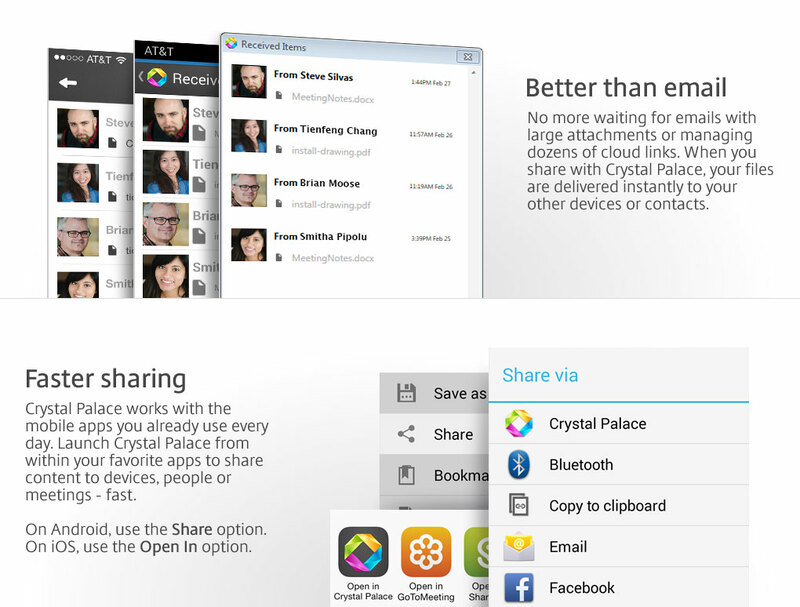 Crystal Palace is an innovative new way to share files across multiple devices and platforms. 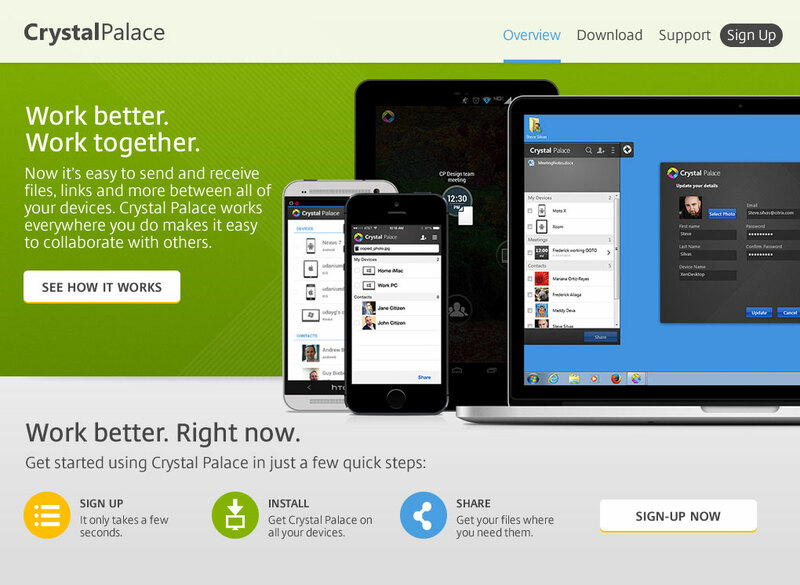 This suite of apps was created in partnership between Citrix Customer Experience and Citrix Labs. 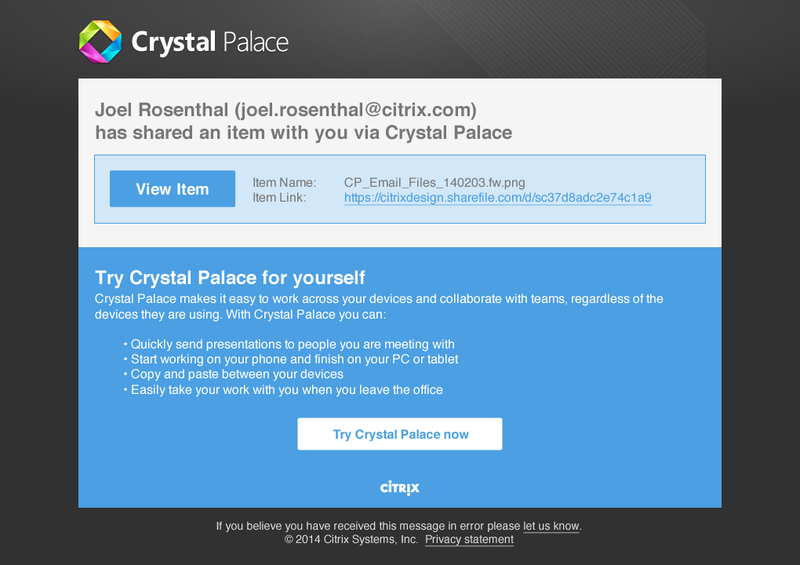 I worked with the product design team to ship the product in the Fall 2013, as well as several following updates in Spring 2014. 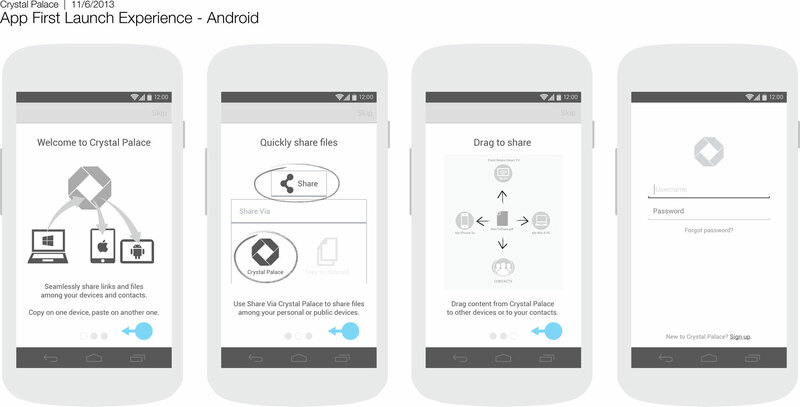 Work for the project included design of user task flows on iOS and Android, contextual user studies, service blueprint of product, development of in-product UI, design and development of product website and authoring of marketing copy.